Soon after becoming Niagara Health’s Chief of Pediatrics three years ago, Dr. Madan Roy saw an opportunity to enhance training for healthcare teams who treat critically ill pediatric patients. 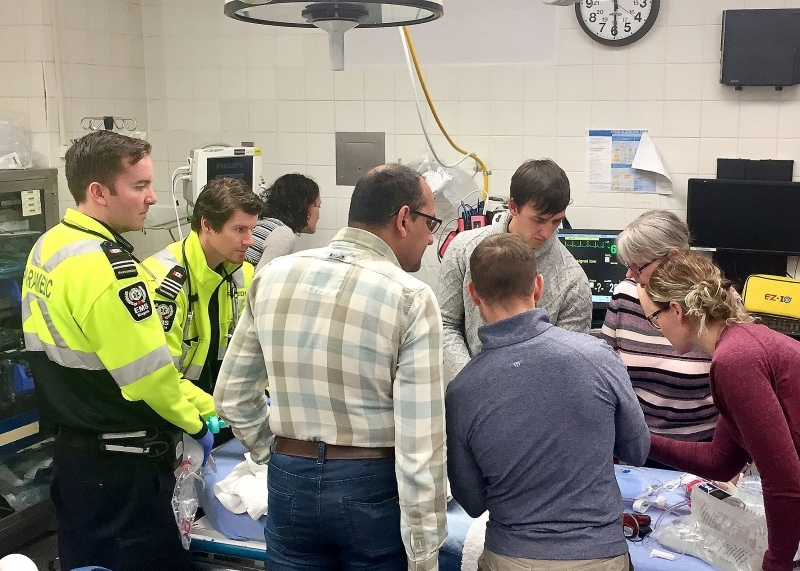 On average, approximately 20 per cent of cases seen in Niagara Health's Emergency Departments and Urgent Care Centres are children under the age of 18. Among these, only a small number of patients present with life- or limb-threatening emergencies. But when they do, they need immediate, highly skilled care. Dr. Muhanad Al-Husari, a physician at the Welland and Greater Niagara General Emergency Departments and Port Colborne Urgent Care Centre, echoes Dr. Wayda’s comments. Photo caption: A training session at the Port Colborne Urgent Care Centre.